In my home state of Florida, the native cycad is a staple landscape plant in parking lot islands, foundation plantings…anywhere. 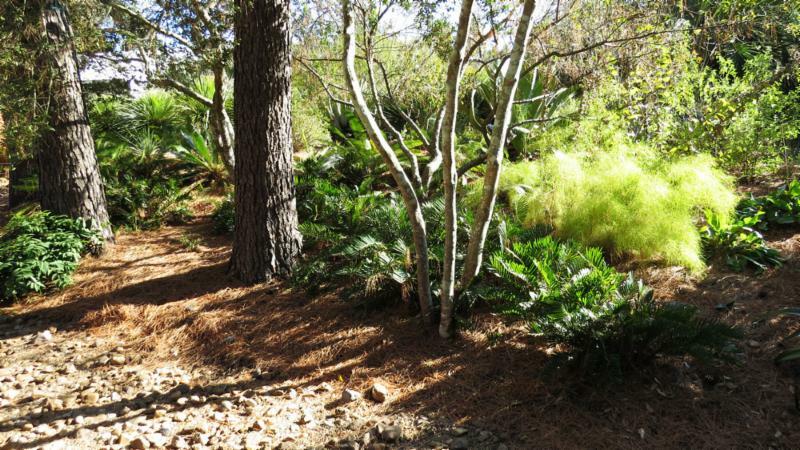 These cycads are planted as individual textural specimens or massed in clumps or rows. Aside from their attractiveness, their popularity also is due to their propensity for being a durable, drought-tolerant and frost-hardy option for a tough spot in sun or shade. Peckerwood founder John Fairey has utilized this species for its various attributes in many areas of the garden, yet I was surprised upon moving here that the plant is still rather unknown in Texas horticulture. It is not difficult to find in the nurseries, but it should be just as popular here as it is in Florida. 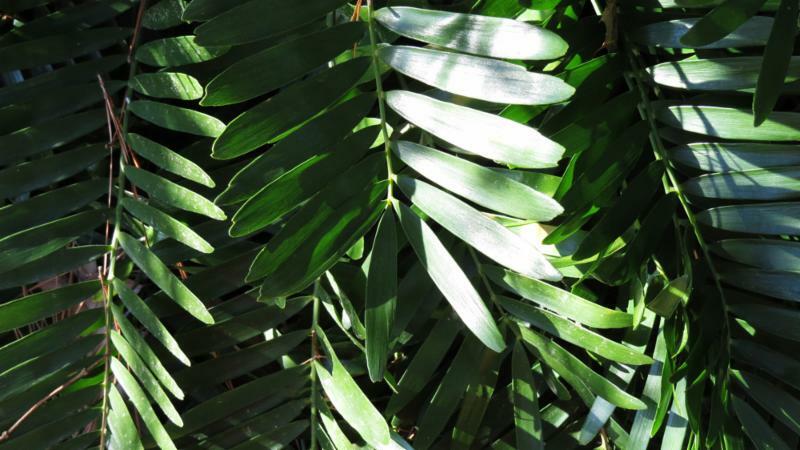 Confusingly known by a few scientific names, most commonly Zamia floridana, most researchers consider Z. integrifolia to be the most current name. At least two forms exist, the “southeast” form ranging from southernmost Georgia to the tip of the peninsula which bears broad leaflets and compact form, and tends to be the most common selection in cultivation. Another form localized in the sandhills of the northwest portion of the Florida peninsula has thin leaflets that stand upright in a V arrangement on the fronds. 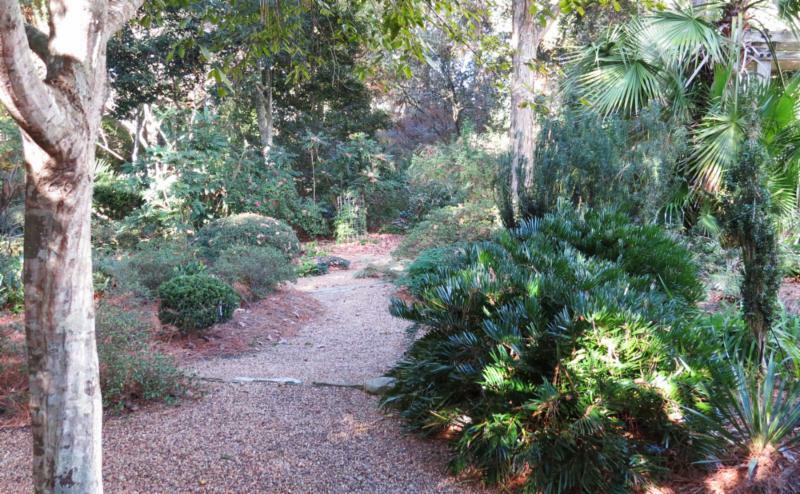 A giant form from northeast Florida called the ‘Palatka Giant’ can be found in collector circles, and a mature clump can reach heights of at 5 feet. On the opposite end of the spectrum, John has a dwarf mutant in his personal collection that was a surprise among numerous seedlings derived from our garden’s plants. 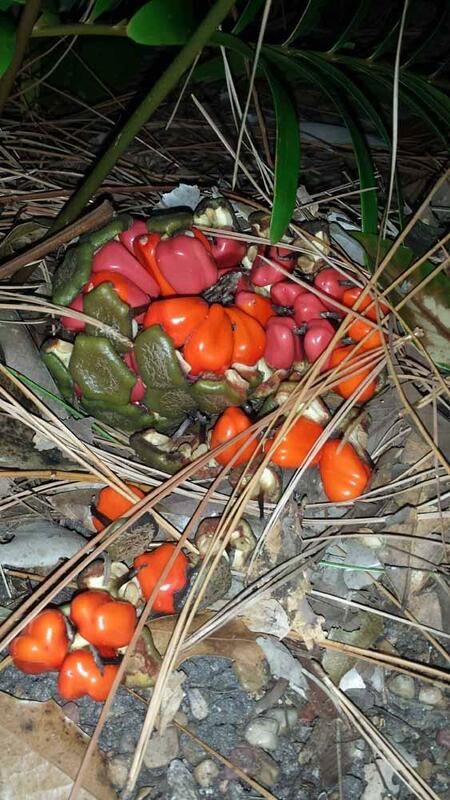 When I guided members of The Cycad Society around Peckerwood, cycad biologist and Zamia specialist Michael Calonje from Miami’s Montgomery Botanical Center noted how our mature female clumps of Z. integrifolia were scattering their shocking red seeds from their crumbling cones throughout the garden. A common sight in Florida, I never thought about what is pollinating these cones in Texas until Michael asked if we had one or both of their specific beetle pollinators here. Though it is entirely possible that the pollinators hitchhiked from Florida in nursery stock and became established here, nobody has documented them in the state. We have since learned that fertile seeds are produced in other Texas counties from Houston to Austin without human intervention. We will have to pay attention next year to see if we can catch the culprit in the act and officially document its presence in the state.